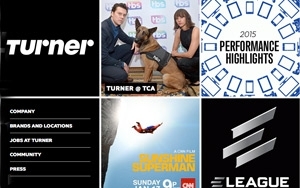 Looking to spur more linear and digital video ad innovation, cable network group Turner is launching industry-wide research consortium Turner Ad Lab. Turner Ad Lab will be led by an advisory board made up of representatives from industry trade organizations, research companies, ad tech start-ups and the advertising community. Turner says it has already taken dramatic steps here -- by significantly reducing commercial loads on TNT and truTV. There will be three initial areas of focus for the group: commercial pod structures, new advertising real estate and creative treatments and executions. Turner Ad Lab studies will be conducted using the Time Warner Media Lab, as well as other facilities throughout the United States and non-lab methodologies. The composition of the advisory board for Turner Ad Lab will be announced later this month.